I love Leen's art (isn't her use of colors and textures absolutely perfect?) about as much as I love handmade lemonade, so you can imagine my joy when I came at these lovely prints (available for purchase here) that mix the two of them together in a sweet, slightly nostalgic piece of art. The recipe is by "De groene prinses" (the green princess) - you can learn more about her collaboration with Leen and find the recipes on her blog. Love it! 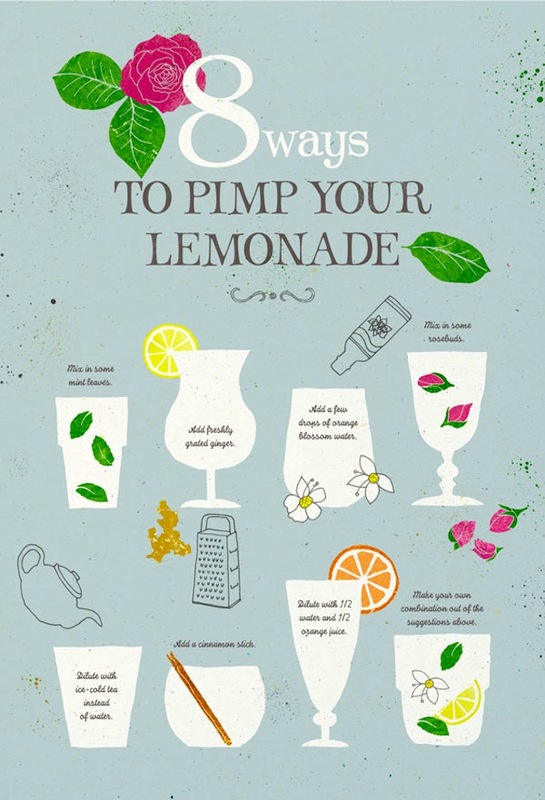 And the pimping the lemonade part is great, I'm going to use it all the time. Went straight to my pinterest board! This is such a brilliant post, definitely bookmarking it! These are gorgeous! I love the layering of colors and texture - and the font is wonderful! I couldn't agree more! If you love this, you can check out Leen's art to see more of her lovely work :) Thanks so much for your comment! this is amazing. just in time as the weather is getting warmer!! Sun + Lemonade = Happiness, right? Ha, I could never drink my lemonade without water, but I think it's awesome to be able to do it! I've seen people drinking lemonade without water in Nepal and in the Philippines, but they added fresh pressed sugarcane - yummy! These prints are simply gorgeous! What a lovely post, as always! Thanks so much Natasha, so sweet of you to say! 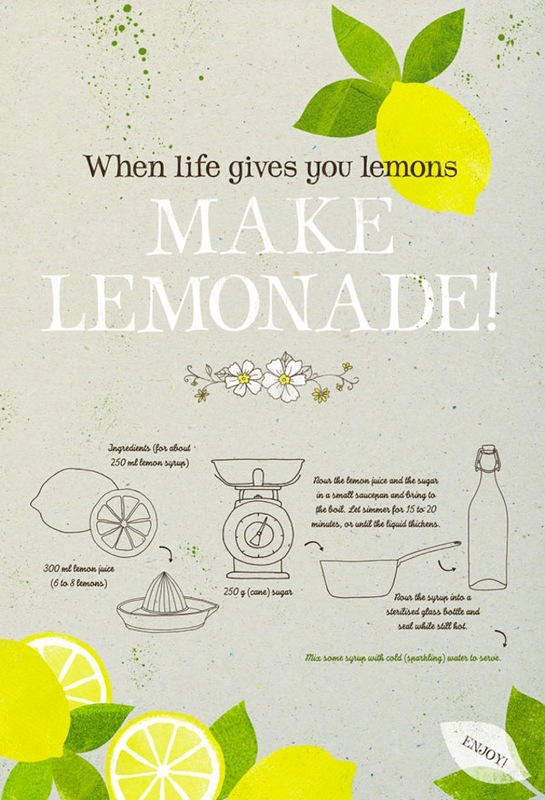 Thank you so much Clemence for this nice post about my lemonade art prints! Thank you so much Sari! You have such a lovely name. I can't wait for the picnic season to start! Thank you so much Lexilooo! Thank you so much for these wonderful tips.